The section of the Universal Commercial Code that applies to credit cards, Article 9, has been adopted in some form by all 50 states. These state regulations govern store credit cards as well as the big-name nationwide cards such as Visa and Discover, which provide cash advances through automated teller machines and operate across state lines. Consumers, however, usually get acquainted with the UCC only when they have financial trouble. The UCC has been the gold standard for U.S. commerce regulation for half a century. It is only a model law on the national level, so individual states can and do enact their own versions. Attorneys hold the UCC in high esteem, possibly because only lawyers who specialize in commercial law have any hope of understanding it. On the other hand, the venerable attorneys of the UCC's permanent editorial board have serious clout in the legal world. These authorities revise the UCC periodically on the national level through the National Conference of Commissioners on Uniform State Laws and the American Law Institute. The UCC, at the level consumers encounter it, is mostly about collecting debts. However, consumers are affected largely through debts backed by collateral, called secured debt. Under the UCC, creditors with secured loans file information on their claims as a way of getting in line for payment in case the debtor goes bankrupt. Debtors can file notices to prioritize which assets are used to satisfy the debts. The notices are usually filed under the name used on the debtor's driver's license. 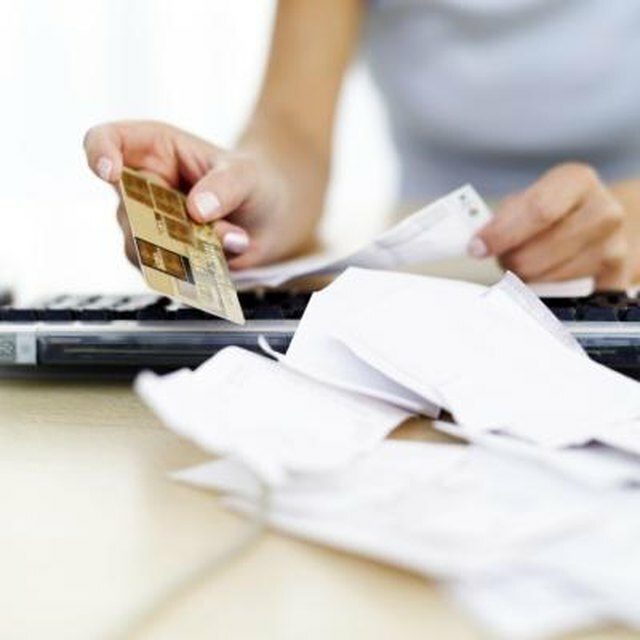 Credit cards of any kind are called open-ended accounts, and they are unsecured debts, not the collateral-backed secured debts reported on the state's debtor lists. If a creditor sues you, he may receive a judgment against you, meaning that he has the right to keep pursuing you for repayment. Judgments remain legally valid for a decade or more, depending on the state, and the judgments can be renewed indefinitely. The UCC records can be handy if you aren't sure whether there is a secured creditor claim, called a lien, against you. You can find UCC search sites through each state's Office of the Secretary of State. Can Stores Get Sued for Not Checking Credit Card Signatures? The UCC does distinguish between two different types of cards in how long a creditor can sue a debtor for collections, according to one consumer-law attorney based in Minnesota. If the card extends loans by way of cash advances, the clock runs out at six years. However, store credit cards may be considered part of a purchase by installment plan, and if so, the clock runs out after four years. You'll need to check your state laws to see if the provision applies to you. In some states, the statute of limitations on credit-card judgments begins only when the credit card company sends you a notice of default.